Locate Hwy. 60 connecting Hellesylt with Stranda. Drive from Hellesylt, you will soon enter a tunnel that is more than 3 kilometer long. Just as you exit, there is parking on your right hand side. 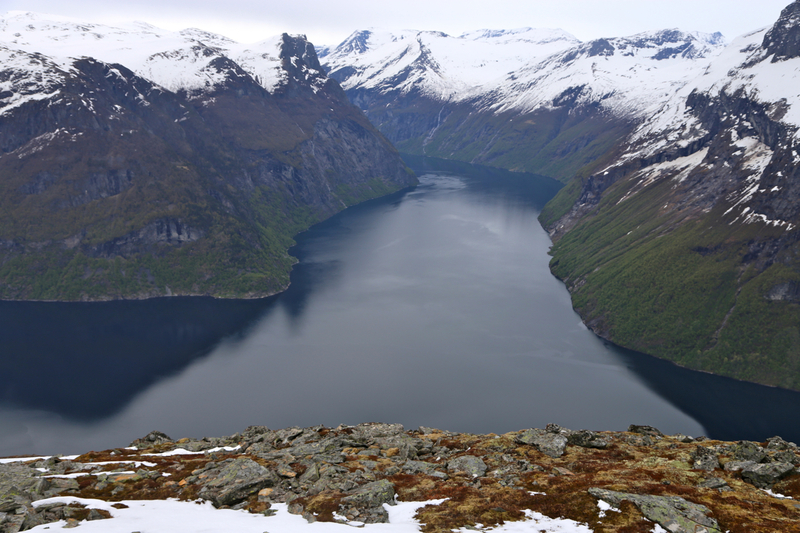 In fact, this is a main viewpoint for tourists as you have a nice view of the Geiranger fjord. Park here, location N62.12101, E006.91892, elevation about 330 meter. Walk a bit along the road, then across to a separate bend as you cross the creek. 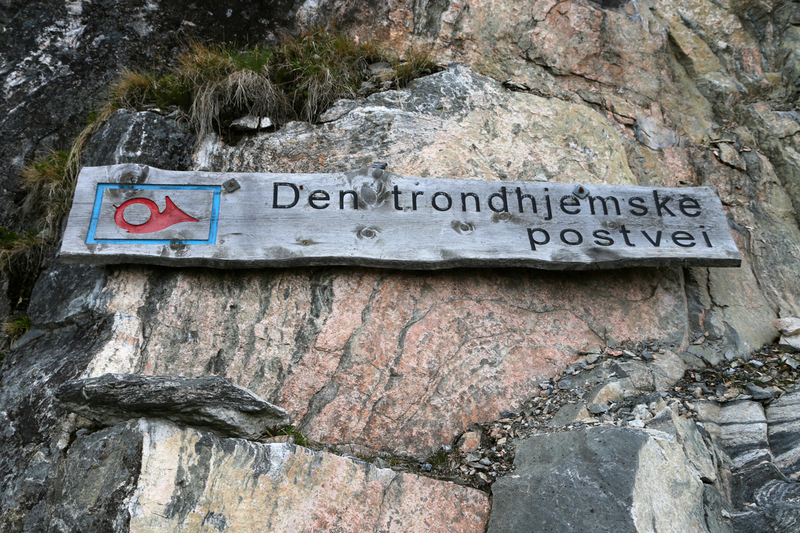 There is a sign here, telling that this was the old post route to Trondhjem. A small gate, then a short steepish uphill and you are on the old postal route! 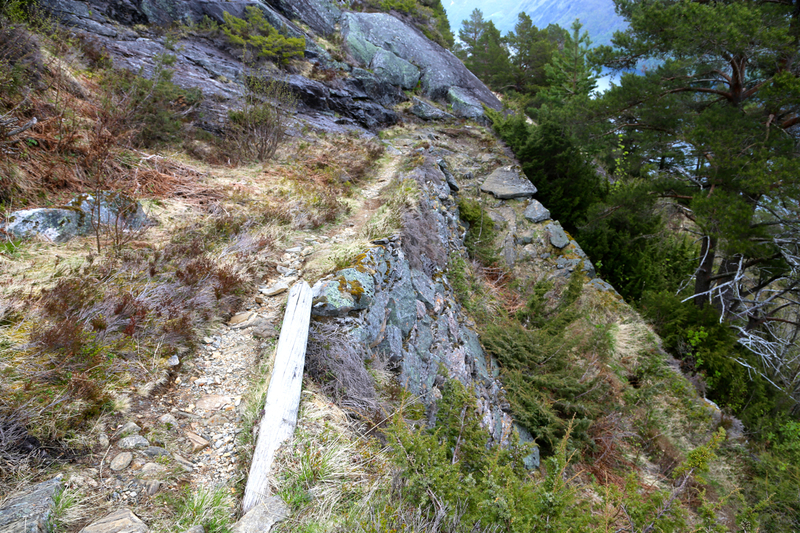 Follow this very nicely made trail as it zig-zags uphill to reach the mountain farm buildings of Ljøsætra. Cross the basin to your left and set course for a the horizon on the left (looking uphill) side, below steeper terrain. You will continue nicely uphill until you reach location N62.12280, E006.89634, elevation about 970 meter. You are now on the main ridge leading gently uphill to the very summit. The forecast called for bad weather starting around 1200. Thus, we decided for an early start. We got up before 0500 and drove the short way to the (tourist) parking area that also is the best trailhead for this mountain. We left the car already at 0535 and to our delight, we could walk the old postal route to Trondheim. This is a very nice trail, that clearly took a considerable effort to build. 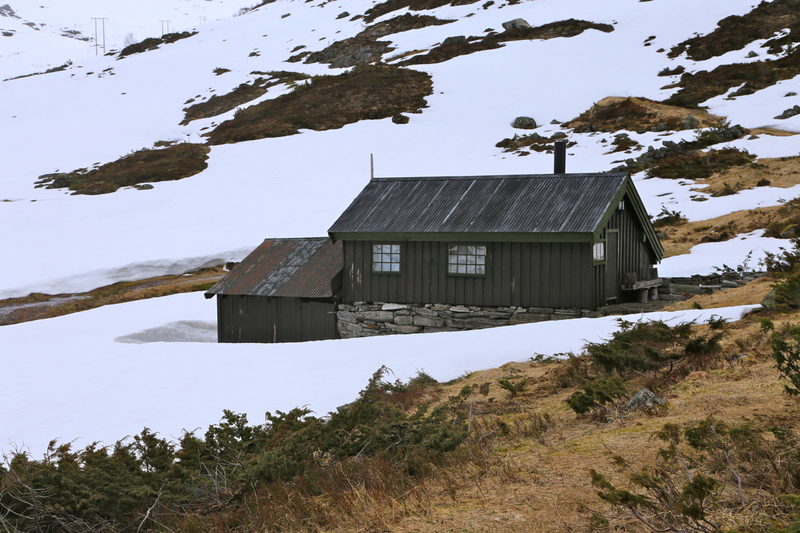 We arrived at Ljøsætra after about 45 minutes and the snow started right there. 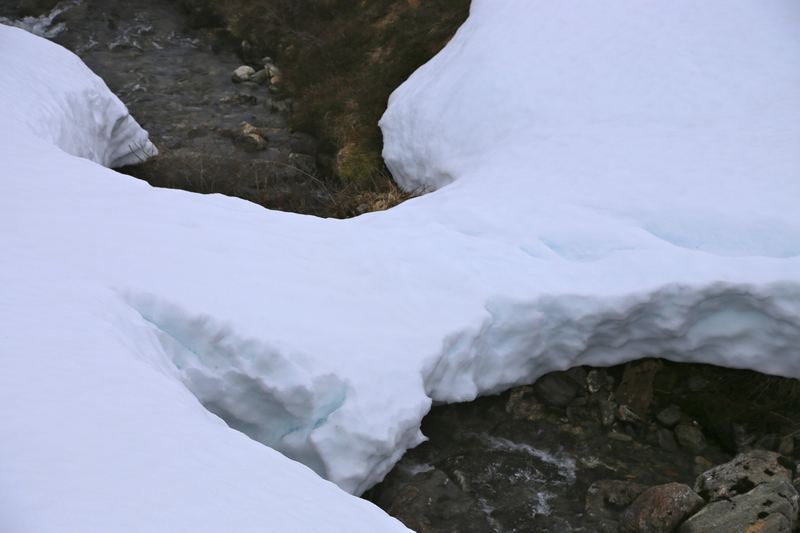 The creek was open a bit higher, but a single snow bridge provided a safe crossing. The snow was quite hard, the sun yesterday and a cold night. I skied up to the beginning of the ridge and to my surprise, no more snow to be seen, the ridge continued uphill with no signs of snow. 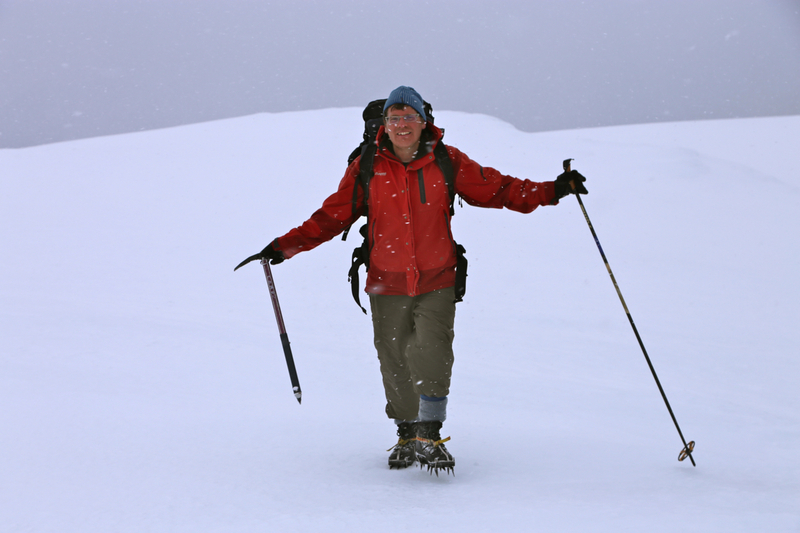 The next surprise was that Åke caught up with me on foot, crampons and ice axe - he decided that skiing was cumbersome on the hard surface. I found snow on the far side of the ridge and skied to the very summit, while Åke hiked up the ridge, first snow-free, subsequently again a snow ridge. We arrived at the summit by 0820, the (not so good) weather arrived about at the same time. Thus, already at 0830, we started back down. 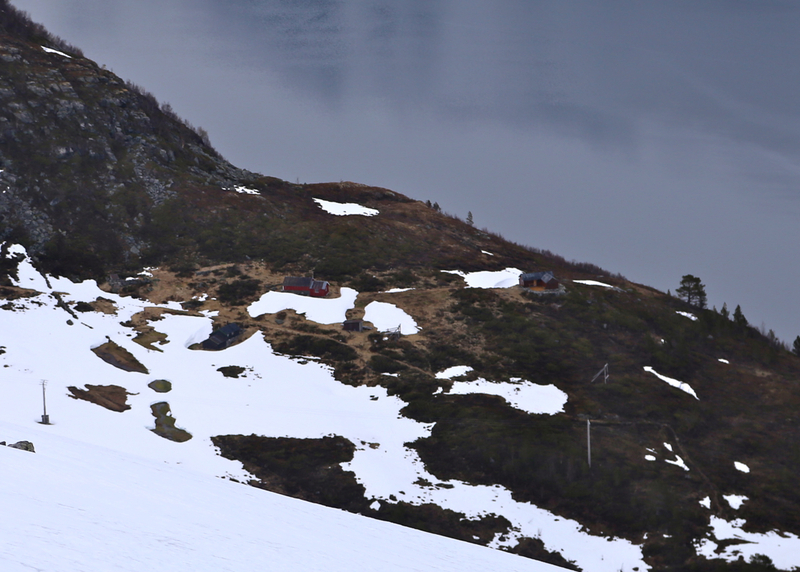 A longer rest back at Ljøsætra around 0930, then an easy descent on the postal road, arriving back at the car at 1015. Ljøsætra, as seen from the route.